Omaha is the largest city in the state of Nebraska and the county seat of Douglas County. It is located in the Midwest on the Missouri River, about 10 miles north of the mouth of the Platte River. Far from large bodies of water or mountain ranges, Omaha’s climate is classified as humid and continental and is characterized by hot, humid summers and cold, relatively dry winters. Based on 30-year averages obtained from NOAA's National Climatic Data Center for the months of December, January and February, The Weather Channel ranked Omaha the 5th coldest major U.S. city as of 2014. With that kind of reputation, Omaha homes can use a little warming up and radiant heat fits the bill. Suitable for any room in the home, radiant heat is most often installed in kitchens and bathrooms. However, it's also ideal for living rooms, bedrooms, basements, and room additions. In this case, these Omaha homeowners were remodeling to create an office for a home design business. Since hardwood was their floor covering choice and they wanted to warm up the space, they purchased a 1.5’ x 52’ TempZone™ Flex roll for the 97 square foot office (see floor plan). The flex roll cost $741.00, which amounts to $9.50 per square foot. 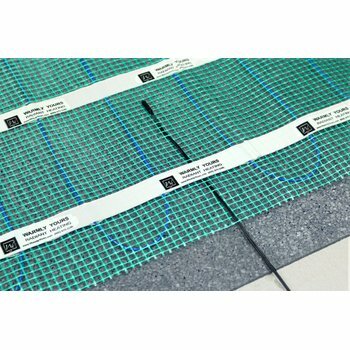 The heating cable is embedded in mesh in a serpentine design allowing the roll to be easily cut and turned for layout. As a result, the system radiates 15 watts per square foot, which is the highest watt density allowed by the National Electric Code. With 15 watts per square foot the floors heat up faster and get hotter than in-floor heating systems with a lower wattage. The floor-heating system is also economical to operate. It only costs 45 cents a day to heat this office floor for eight hours a day, based on WarmlyYours’ Energy Use Calculator. Annually, that comes out to just $82.94, according to WarmlyYours’ Heat Loss Calculator. During the coldest month of the year, it only costs about $18.00 to heat the room. Along with factoring in the average kWh cost in Omaha, the Heat Loss Calculator estimates the desired room temperature, sealing factor, insulation factors and more to determine if radiant heat can be the sole source of heat for the office. In this case, this floor heating system can be the primary source of heat for the room so there won't be any additional heating bills for this office, which is another benefit. 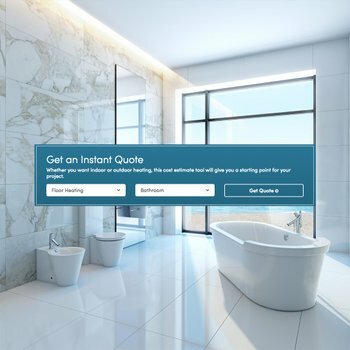 If you’re considering adding electric floor heating to one or more rooms in your home, the first place to start is online with our Instant Quote tool. By entering some basic information about your project, the tool will recommend which products you need along with their respective costs. You can also request a custom installation plan, which provides more specific details about how the floor-heating system should be laid out including the electrical plan layout. 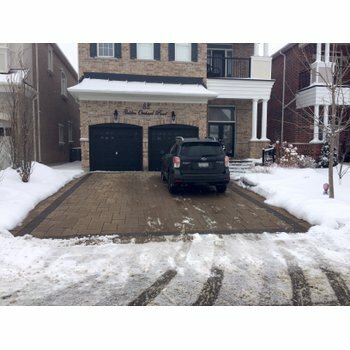 You can get a custom installation plan by uploading your floor plan or contacting a WarmlyYours sales representative at sales@warmlyyours.com. If you have any questions during installation, don’t hesitate to reach out to our knowledgeable technical support team 24/7 at 800-875-5285. Whether you live in Omaha or another city that could use some radiant heat, www.warmlyyours.com has just what you need to warm up your floors. Previous Post How Much Does it Cost to Add Radiant Heat to a Sacramento Bathroom?